The Nintendo Switch aims to merge the dual home and portable platforms the venerable Japanese company has long been known for into a single, harmonious whole. The logo for Nintendo's new gaming machine — two joysticks arranged into an image resembling a yin-yang — represents an important shift for the company. 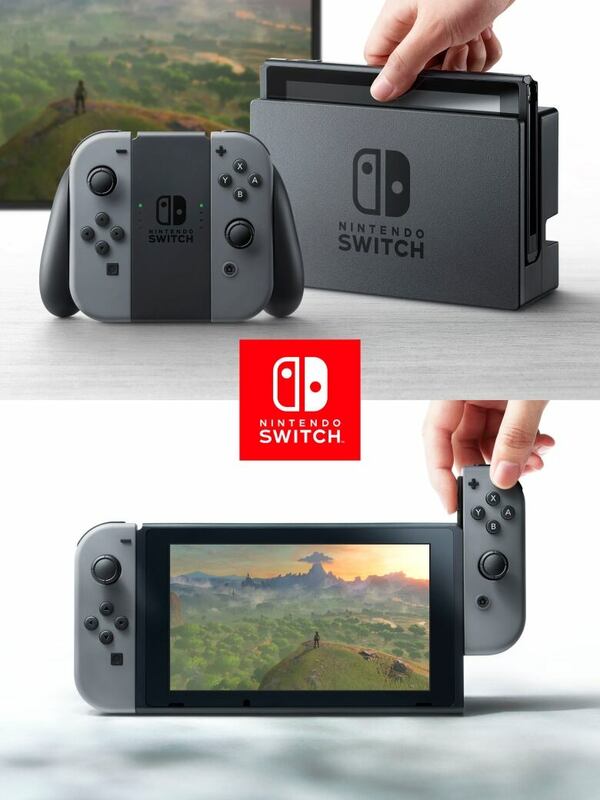 The Nintendo Switch, announced Thursday morning, aims to merge the 127-year-old company's dual home and portable platforms into a single, harmonious entity. The Switch — scheduled to hit stores this March — can be played at home on a TV, or taken on the go in a portable tablet-like screen. Miniature remotes with joysticks and buttons, called Joy-Con controllers, attach to either side of the tablet or can be used like two Wii remotes. "This is a logical combination of their strengths in the market," says Brendan Sinclair, senior editor at gamesindustry.biz. "They have tremendous IP [intellectual property, or product lines], and they've always had a lock on the portable market with the DS and Game Boy lines.… So this is a way for them to stay relevant and create one line of games and hardware instead of two lines, focus on that and still avoid going toe-to-toe with Sony [PlayStation] and Microsoft [Xbox]." 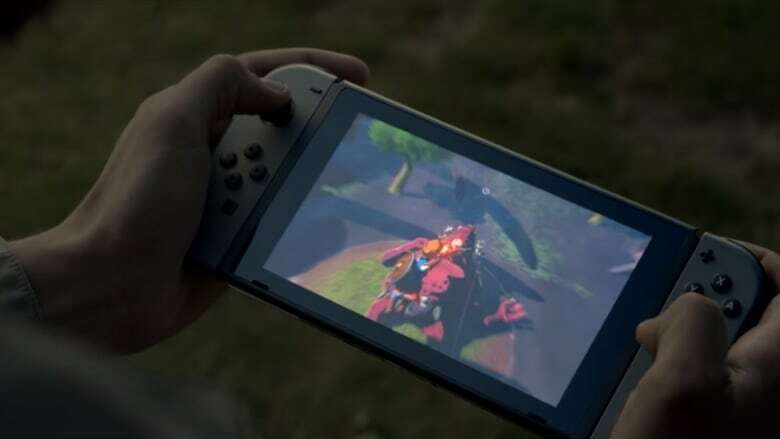 Alex Navarro, senior editor at the video games site Giant Bomb, came away from Nintendo's Switch announcement with generally positive impressions, despite his initial trepidation. "When news broke that it was going to be this initial teaser [promotional] trailer, I think most people silently groaned to themselves, because we've been waiting for so long to hear something about this system," he told CBC News. "But the actual video they put out, and the way they presented the system in that [trailer], I think was pretty solid for a first taste of what that thing is," he said. Nintendo first announced it was working on a new console in March 2015, referring to it by the project's code name, NX. But no specific details — and only a smattering of rumours — emerged before this week, 18 months later. The Switch will have to perform better than Nintendo's current home console, the Wii U, to get Nintendo competitive with the Sony PlayStation 4 and Microsoft Xbox One. 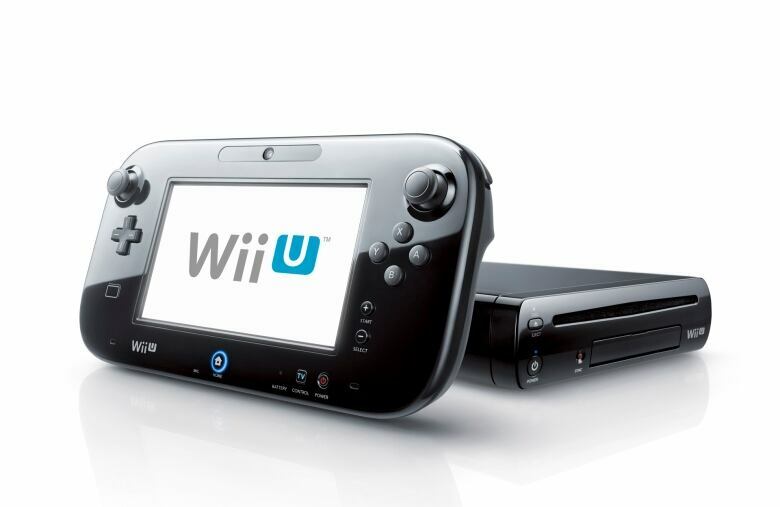 When it launched in 2012, the Wii U confused consumers, some of whom thought it was an accessory for its predecessor, the Wii. Nintendo has sold just over 13 million units since then, compared to over 100 million lifetime sales for the Wii. Comparatively, a recent report by computer graphics company Nvidia said Sony has sold 52 million PlayStation 4 units, and Microsoft has sold 29 million Xbox Ones since they launched in 2013. All this talk about Nintendo unifying its platforms under the Switch comes with one major caveat, though: mobile phones. A trickle of games have appeared on iOS and Android devices, including the wildly popular Pokemon Go. Nintendo has partnered with studios more versed in the mobile market in developing its first-party titles. Pokemon Go was developed entirely by Niantic. 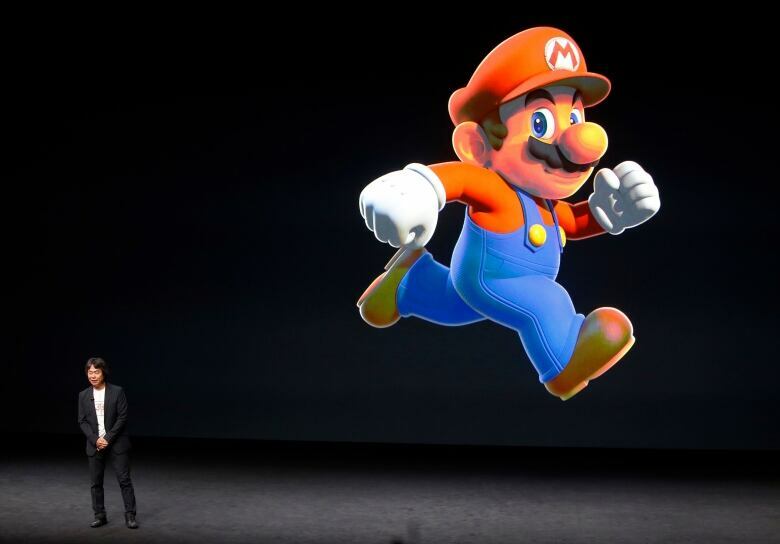 And the upcoming Super Mario Run, announced at Apple's last iPhone event, is a collaborative effort between Nintendo and DeNA. The outsourcing for mobile apps should let Nintendo focus most of its in-house development solely on the Switch, instead of splitting it between home and handheld games, as it does for the Wii U and 3DS now. "Instead of having Nintendo be a home-and-portable business, it looks like they're going to be a mobile-and-Switch business," explains Sinclair. 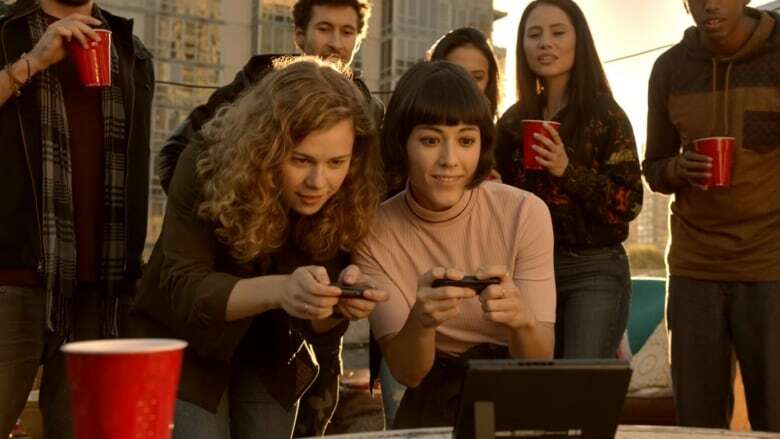 While the trailer gave gamers and critics a good sense of what to expect with the Switch — and confirmed that most of the rumours that had leaked over the past few months were mostly correct — Nintendo is still keeping a lot of info close to its chest. We don't yet know how much processing power it will pack other than it will feature a version of graphics company Nvidia's Tegra chip. We don't know how long the battery will last when taking the tablet on the go. We don't know if the Joy-Cons support motion control, or if the tablet is a touch screen. Crucially, we don't know the price. Sinclair guesses it will be priced in the $300-$350 US range, which would likely peg it between $400 and $450 in Canada. But if Nintendo keeps the goodwill that it sparked with that first trailer, says Navarro, we could be looking at its next big hit. "If they use the next six months to really hammer the message of what the system is, get the games out there and get a price point people want, I don't see any reason why they couldn't become a major power player in the console market again," he said.